It’s been far too long since my last post so here’s a quick-ish one to show you the latest changes. As you can see from the new title logo above, the game has had some radical changes. Two of these changes are a new title and story. 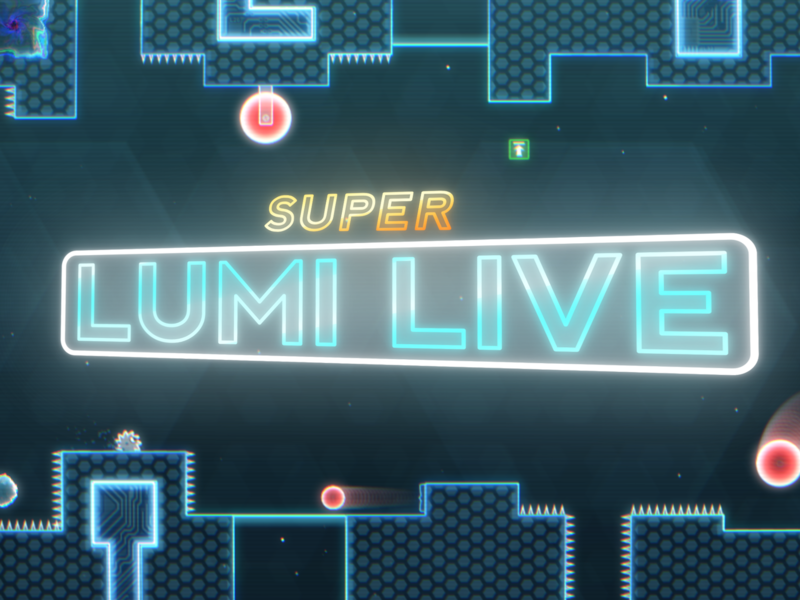 You now play as Lumi Live, the stuntman who performs incredible jumps in dangerous arenas for his hit TV show, Super Lumi Live. 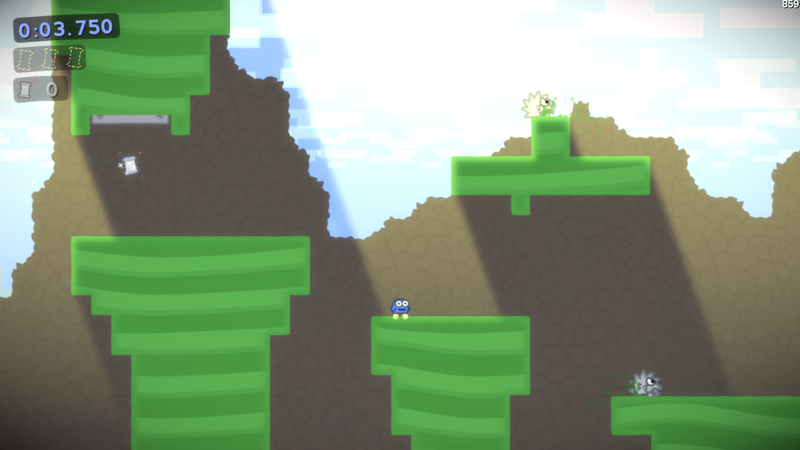 While the story is mostly unimportant to a pure platformer, I feel the new storyline ties into the new visual theme a lot better than the old story and theme did but I also like it because it’s not the usual “Save the [insert important person here]” trope. So a bit of real talk before I get into the main changes. One of the main reasons for not making great progress over the last year had to do with my growing apathy for the project. This however, wasn’t the usual fatigue developers tend to get when working on the same project for years (although that is a bit true also), this was different. I grew tired of the project because I didn’t have that love for the game like I used to do and so I had to do something to get me back into the spirit. 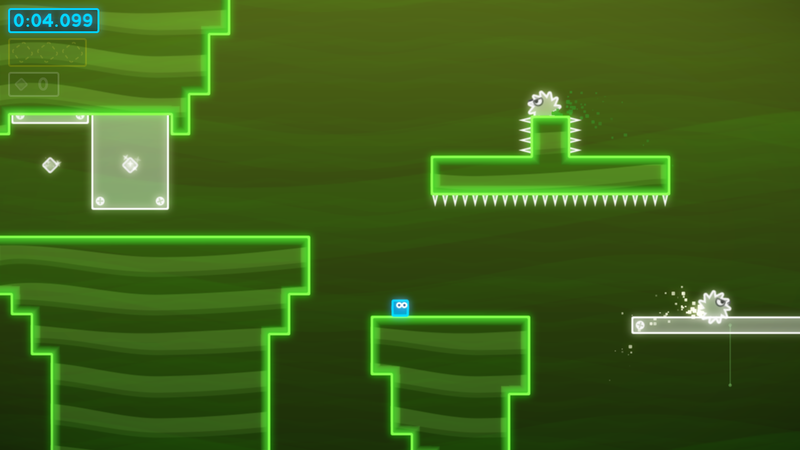 The new theme not only allows for a more abstract art style which ties everything together much better, it builds upon the gameplay too by removing noise and stripping the graphics down to the bare minimum. 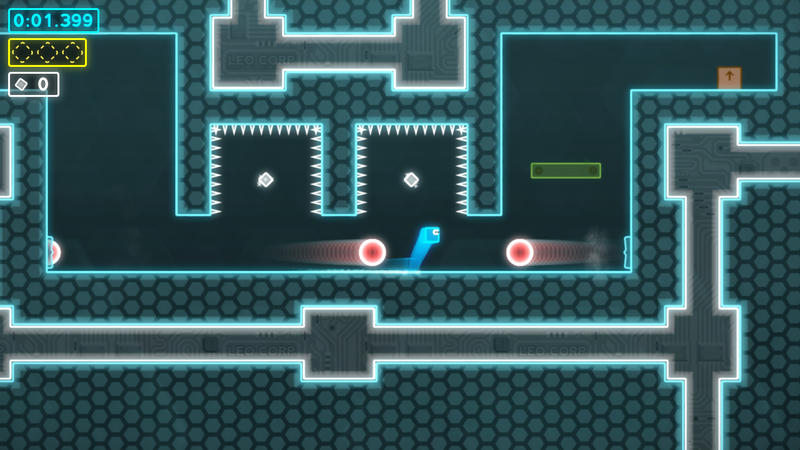 The previously unkempt parallax backgrounds have been replaced by simple shapes which fill the void around the active parts of the level in a more cohesive style. 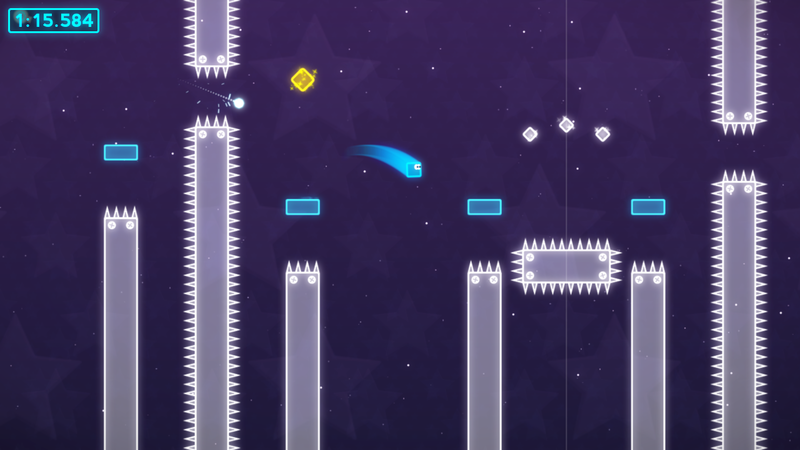 Most importantly though is that I love the project again and have been working towards creating more levels and a new trailer to show off the new theme in action.